Crossovers are all largely the same ambiguous blobby shapes these days, which is why it’s extra sad that the funky Nissan Juke is dead. Whether you loved it or hated it, you cannot deny that the Nissan Juke made people feel things. You had an opinion about it, which is better than just an overwhelming wall of meh-ness that numbs your mind when you think about other compact crossovers. 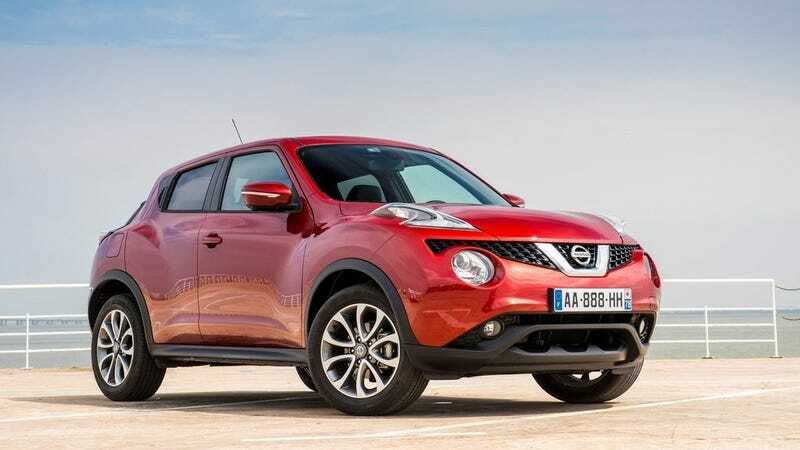 The Juke has been dropped from the Nissan lineup, notes Automotive News, and indeed, if you visit Nissan’s website, you won’t find it there anymore. We’ve emailed Nissan for confirmation, though at this point, it really seems like the Juke is officially dead since the Kicks is around now. Personally, I could never get over the Juke’s crocodile face, but I really appreciated Nissan making something quirky and even Nismo-ing it! That was neat. It wasn’t for everyone. Yes, it was a crossover, but its sloping silhouette meant that rear headroom was sacrificed. Automotive News pointed out that single men were the target buyers. Why men and not women is anyone’s guess, but perhaps it had something to do with Nissan’s vision of a 370Z buyer moving to a Juke eventually. Anyway, the world is a bit less weird without the Juke.